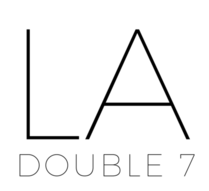 Blanket – LA Double 7, Inc.
Our solid, simple scarf is a classic staple piece for year-round wear. Features very light, subtle stripes throughout for added texture and style. The airy fabric is composed of light polyester fibers, making this an accessory that is perfect for versatile wear. Comes in seven classically neutral tones to pair with a multitude of looks. An essential basic solid colored scarf, this accessory is available in maroon, dark blue, navy, charcoal, and grey. Features soft fabric and small fringe outlining the edges, this scarf is perfect for various outfit combinations. Double-wrap around your neck for extra warmth, or drape around yourself as a layered accessory shawl. This cozy classic scarf is accented with contrasting multi-color retro stripes. Wear this over your jeans and coat in the cool weather, or use as a blanket scarf on chilly summer evenings on the beach by the bonfire. This high-quality polyester scarf has a woven fabric detail throughout the solid background and finished with a fringe trimmed hem. Available in a subtle grey shade, or more colorful pink!